I've teamed up with Samuel Adams Canada to share with you a recipe for a beer cocktail good for any time or season. 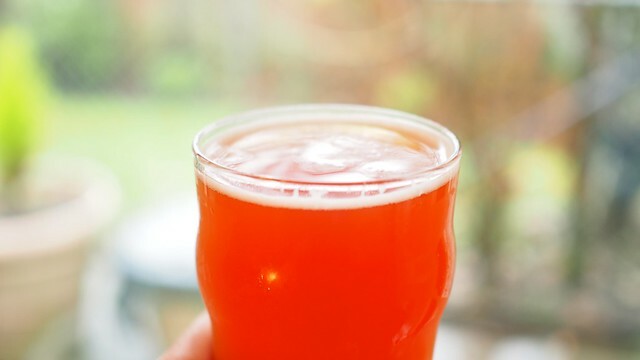 A "shandy" (also known as a shandygaff) is typically made of beer mixed with a carbonated citrus beverage (usually something like sparkling lemonade). To be fancy, I chose a Blood Orange Shandy, of course made with a blood orange soda. 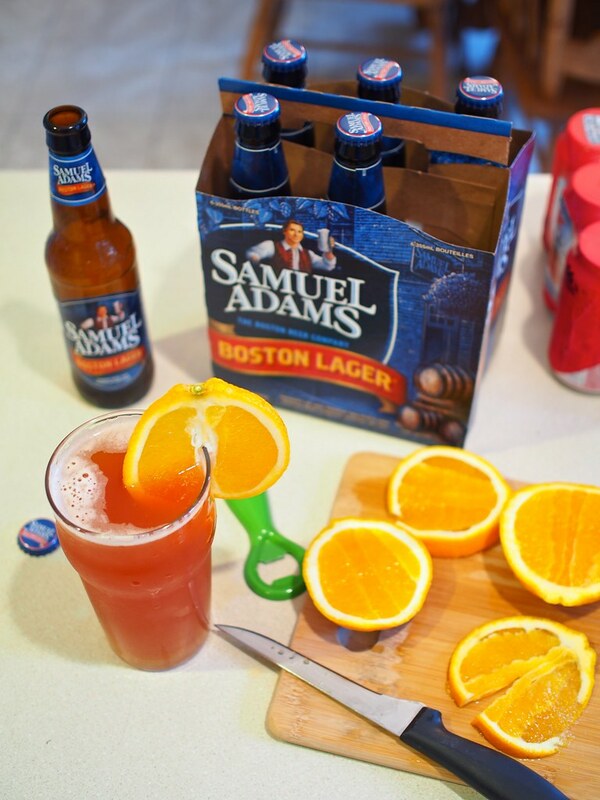 Beyond it's orange glow and tropical look, it's a refreshing fruity take on your beer. Also, it's very simple as you cab see below, basically all you need is some combination of beer, soda, and orange(s). I love drinking beer as much as anyone and this is a nice way to mix it up and add flavour. I'm usually averse to fruity beers with too strong a fruit taste, but here, you can control the amount of fruit soda and/or choice of fruity flavour to your liking. Hope you enjoy. 1) Pour beer into pint glass between half and three-quarters full. 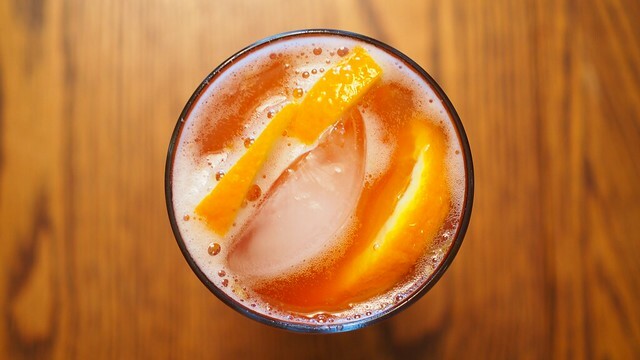 2) Top it off with blood orange soda. 3) Garnish the rim of the glass with a slice of orange/lemon. Disclosure: This is a sponsored post from Samuel Adams and Branding & Buzzing.